Jeremy Renner and Gemma Arterton starrer fantasy horror movie Hansel & Gretel: Witch Hunters releases in theatres today, February 1. Here's a look at the red carpet arrivals. Actress Shazhan Padamsee strikes a pose with Udaan actor Rajat Barmecha, as they make their way to the venue. Shreyas Talpade slipped into the mood quite easily. Adah Sharma, who had scored a hit in the Vikram Bhatt horror film, 1920, strikes a pose. MTV Roadies hosts Raghu, Ranvijay and Rajiv gesture at the cameras. 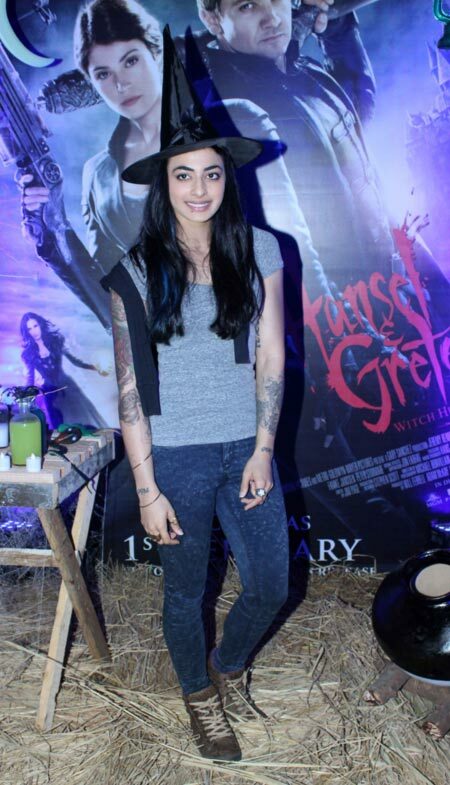 VJ Bani wears her tattoos and witch's hat to the premiere.